The words “good” and “fat” don’t get used in the same sentence very often. Its time to change that, healthy fats such as olive oil, nuts, fats from fish, and avocados are among the healthiest foods we can put in our bodies. They aid in the decrease of unhealthy cholesterol, increase in the healthy cholesterol, lubricate our joints; provide building material for the cells of our brain and heart just to name a few benefits. Besides being good for our overall health, they aid in the increase of our metabolism, think of them as fuel on our metabolic fire. The term “healthy fats” can be broken down into two different types of fats, Monounsaturated and Polyunsaturated fats. Monounsaturated simply means it contains one double bond and Polyunsaturated means it contains more than two double bonds, what this means to us is that they are easier for our body to absorb them as well as convert them into energy. Omega-3 fatty acids, which are a polyunsaturated fat, provide numerous health benefits which include increased brain health, joint lubrication and fat metabolism. Adding healthy fats to your meals is a great way to increase satiety. 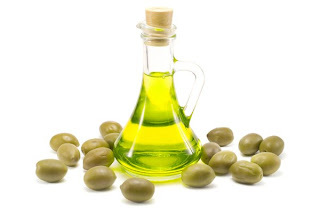 Adding olive oil based dressing to your salad will be more filling then a cream or vinegar-only based dressing. The Sonoma Diet recommends the following sources for fats: avocado, canola oil, olive oil, and nuts (peanuts, almonds, pecans & walnuts). In addition to canola and olive oil, I enjoy cooking with macadamia nut oil. Macadamia nut oil has a higher smoking point then olive oil does and has a higher concentration of monounsaturated fat at 11 grams per tablespoon compared to olive oil at 9.8 grams per tablespoon. Try adding nuts to your meals to provide added texture and contrast. Nuts make a great addition to rice dishes, salads, pastas and can be used as condiments on sandwiches. Natural nut butter such as cashew or almond offer higher amounts of monounsaturated fat than peanut butter does.